The hits just keep on coming for Lawrence University’s opera studies program. For the second straight year, Lawrence has garnered national recognition. 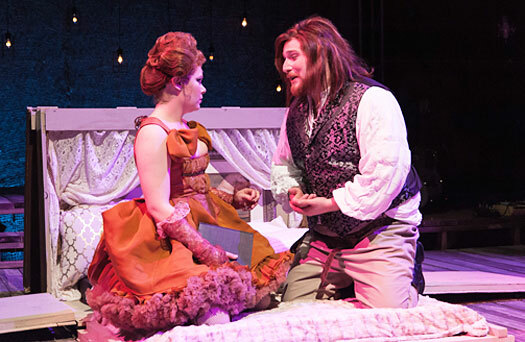 Its 2016 production of “The Beggar’s Opera,” which was performed last February at the Fox Cities Performing Arts Center, was awarded first-place honors in the 2015-16 National Opera Association’s (NOA) Division 6 Best Opera Production competition. Lawrence’s 2016 production of “The Beggar Opera” earned first-place honors in the National Opera Association’s Division 6 Best Opera Production competition. Lawrence earned top honors against competitors with graduate student programs, some of which are previous winners in the category. 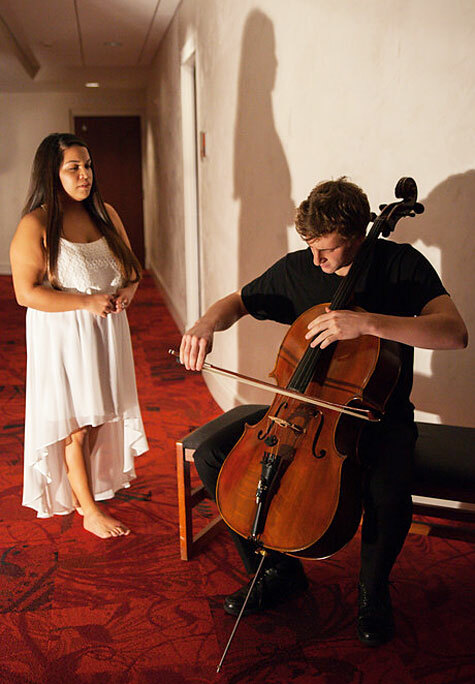 The college’s first micro-opera production, “Expressions of Acceptance,” which was performed at the PAC in November 2015, tied for third place in the 2015-16 NOA’s Division 1 Best Opera Production competition. “Expressions of Acceptance” was a collaborative effort between Woodruff, Margaret Paek, director of Lawrence’s dance program and Matt Turner, director of the ensemble Improvisation Group of Lawrence University (IGLU) in conjunction with Lawrence’s student organization GLOW and Celebrate Diversity Fox Cities, Riverview Gardens and COTS. Through , 5-8 minute micro-operas, it examined issues and experiences that both bind people together as well as differentiate us. 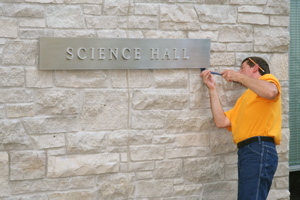 The pieces were perrformed in non-traditional places in the PAC, including stairwells, bathrooms and even an elevator. This was the second year in a row Lawrence was recognized nationally for its opera program. In 2015, Lawrence earned first-place honors in the undergraduate division of the Collegiate Opera Scenes competition at the joint national conventions of NOA and the National Association of Teachers of Singing (NATS). Lawrence’s 2015 production of “The Tender Land” earned second-place honors the NOA’s Best Opera Production competition. Lawrence’s micro-opera production “Expressions of Acceptance” earned third-place recognition the National Opera Association’s Division 1 Best Opera Production competition. “These awards allow our students to garner a idea of where they stand among their peers,” said Woodruff, who will accept the awards in person in January at the 2017 NOA national convention in Santa Barbara, Calif. “I’m so proud of the dedication, hard work and long hours everyone devoted to crafting these memorable, landmark experiences. I am thrilled that our students’ talent is recognized and revered by our peers across the nation. “Being remote from other opera companies and schools with opera programs, it is important for our students to participate in these competitions so that they can compare themselves with the pool of artists who will be their competitors for and colleagues in graduate schools, summer opera training programs and their eventual career,” Woodruff added. The production competitions are based on an anonymously submitted video of the production. Judges, who are industry and academic professionals, base their decisions on criteria that includes musicianship of both singers and instrumentalists; dramatic credibility and characterization; production concept, staging and execution; and overall quality of the production. The scenes competition is based upon live performance at the national conference. The divisions are based upon the size and scope of an institution’s music and opera program, level of vocal training of the singers and production budget. APPLETON, WIS. — Two members of Lawrence University’s mock trial team made impressive debuts at a recent tournament in Milwaukee. Sophomores Caitlin Fish and Karl Hailperin, neither of whom had any previous college mock trial experience, both earned outstanding witness awards March 1 for their performance at the 23-team American Mock Trial Association regional tournament hosted by Marquette University. Fish and Hailperin were two of just 12 students recognized as outstanding witnesses from among nearly 100 students who participated in the tournament as witnesses. Fish portrayed defense witness Jan Patel, a star-crazed janitor, while Hailperin played Mickey McQuiggan, a crime scene investigator for the plaintiff. Fish was ranked the top witness by 19 of 20 judges, placing her among the top four witnesses at the tournament. Hailperin earned top rankings from 17 of 20 judges. The tournament “trial” was based on a libel lawsuit in which gubernatorial candidate Drew Walton sued the Blitz News Network (BNN) for reporting that Walton shot Lane Hamilton, a Midlands University Professor. Walton maintained that Hamilton committed suicide. Walton had to prove BNN published a false and defamatory statement of fact that damaged him, acting with reckless disregard of the truth in the process. A total of 13 Lawrence students — 11 of whom had no previous mock trial experience — competed on two teams in the tournament, which included teams from the University of Chicago, Hamline University, Lake Forest College, the University of Minnesota and Northwestern University, among others. Amy Risseeuw, an attorney with the Appleton law firm Peterson, Berk & Cross, is the coach of Lawrence’s mock trial team, while Assistant Professor of Government Steve Wulf serves as the team’s faculty advisor.